Are you prepared... for anything? It's true: you've made us America's #1-ranked precious metals dealer. We're now serving over 500,000 customers and readers like you with untouchable deals on gold and silver and top-notch content. Month in and month out. Chaotic times demand that we all give more thought to preparing for disasters and protecting our loved ones. So, in order to serve your needs in that department, Money Metals has just acquired Survival-Goods.com. We want Survival-Goods.com to be your first and best source for emergency food, first aid supplies, bug-out bags and the other vital preparedness items. To help you and your family fully prepare for any crisis that may lie ahead... whether it's a financial meltdown, martial law, power grid failure, social upheaval, or public health epidemic. I'll be making a more formal announcement of this important new service in the coming weeks. 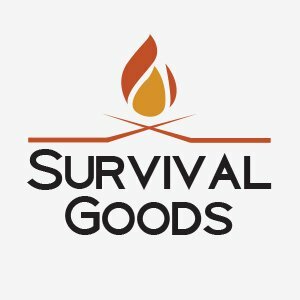 Please note: Survival-Goods.com will mainly be an in-house resource for great Money Metals customers like you. However, accepting a limited number of orders from the general public will greatly expand our buying power... so we can bring you even better deals. Everyone gains that way. Which is the exact principle we used to build Money Metals Exchange into the powerhouse it is today. Many Superb Survival Products – Starting under $5! Survival-Goods.com offers dozens more great products as well. 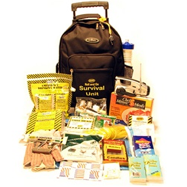 One feature you will really like is Build Your Own Custom Survival Kit. You can design your own totally-customizable kit perfect for your personal needs and family size. And I'll be adding even more great deals to the Survival-Goods.com line-up in the coming weeks. But right now, you can grab some great items at great prices. And before word gets out to the wider public. Remember, the time to buy emergency supplies is before you need them. Don't get caught short... I urge you to stock up now. Be fully prepared to safeguard yourself and your loved ones from anything that might come your way. Doesn't it make good sense to prepare in advance? Don't take any chances. Get your vital supplies now. And enjoy the peace of mind that comes from knowing you're prepared for anything.